Scott Lawson submitted this photo and caption. 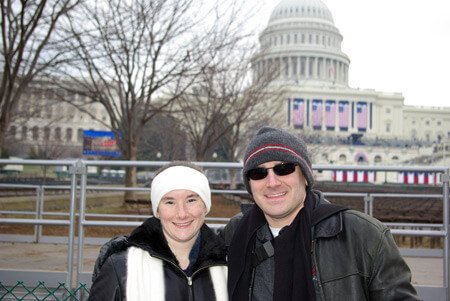 This is a photo of me (Quad City Knights '94-'95, Dubuque Colts '96-'00) and my sister (Dubuque Colts '00-'02) attending the presidential inauguration with the Colts this past January. The university that we both attended wrote up an article about it for the alumni newsletter.